Aircraft Pitot / Static Tube. P/N unknown. 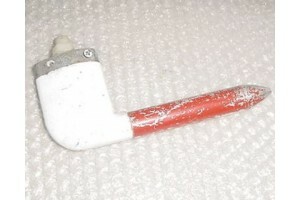 Common type pitot tube used on several production as well as experimental aircraft. It is in overall good condition but will need two install screws drilled out from the head that broke off during removal.